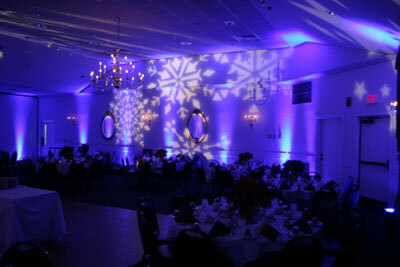 We had the pleasure of lighting a private company holiday party at The Storrowton Carriage House in West Springfield, MA. 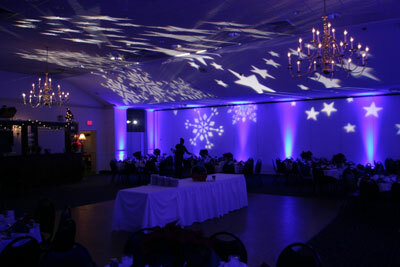 We used LED uplights and also projected snowflake and star gobos around the room to create a fun and whimsical holiday atmosphere. 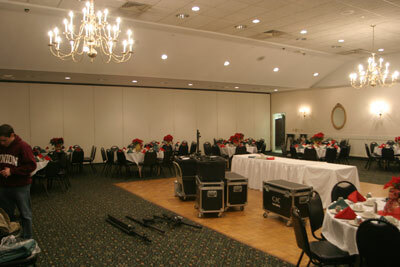 This entry was posted on December 19, 2009 at 2:57 pm and is filed under 1. You can follow any responses to this entry through the RSS 2.0 feed. You can leave a response, or trackback from your own site.